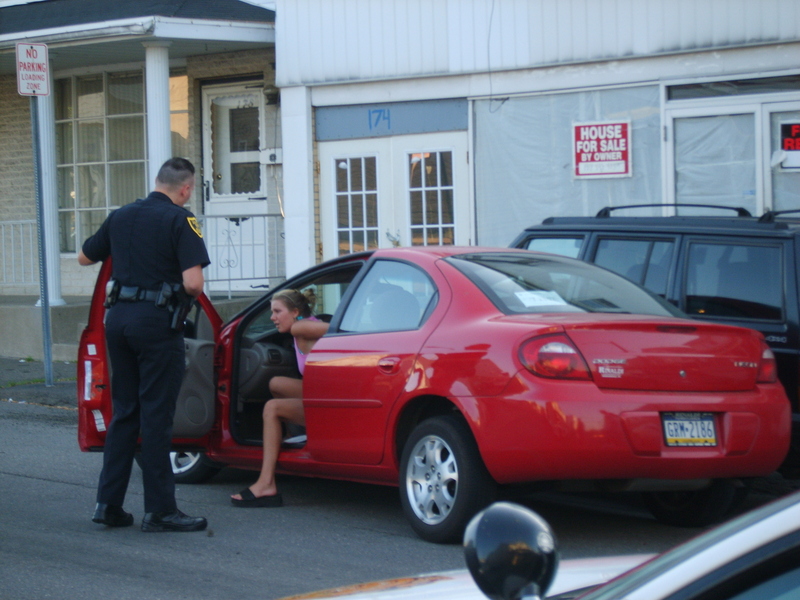 Ohio police enforce several laws against driving under the influence of alcohol or drugs. The basic offense, and the one most people think about when they hear “DUI,” is called operating a vehicle while intoxicated (OVI). Other anti-drunk and drugged driving statutes and special provisions exist for commercial drivers, drivers younger than 21, boaters who are under the influence, and multiple OVI offenders. Ohio also recognizes merely sitting in the driver’s seat of vehicle while intoxicated as an offense. You can click on the links in the preceding paragraph to learn more about DUIs while boating and about driving under the influence of drugs. Overviews of different types of drunk driving offenses and the related DUI penalties in Ohio follow. The legal limit for blood alcohol concentration (BAC) when driving your own car or motorcycle in Ohio is .08. Commercial drivers cannot have a BAC of .04 or higher when in a commercial vehicle. A first-time conviction for OVI as an adult puts six points on your license, incurs a fine of at least $375, and gets both your personal and commercial driver’s license suspended for at least six months. You could also be sentenced to spend three days in jail or required to complete a two-day driver education course at your own expense. Penalties increase for subsequent OVI convictions to include the use of an ignition interlock device and the display of specially designed offender plates. Drinking and driving while too young to drink beer, wine, or liquor legally brings the official charge of operating a vehicle after underage alcohol consumption (OVUAC). Drivers younger than 21 are limited to a BAC of .02. Underage drivers who test over a .08 BAC can be charged with both OVI and OVUAC. A conviction for OVUAC will result in a license suspension of 90 days to two years and 4 points against your license. Additional penalties can include a 30-day jail sentence and a $250 fine. Registering a BAC above the legal limit results in an administrative license suspension. What this means is that the arresting officer immediately seizes the suspect’s license and prohibits him or her from driving. An ALS can be appealed with the help of an Ohio DUI defense attorney, but an appeal must be filed quickly. Breath, blood, and/or urine samples that show a BAC of .17 or higher can bring harsher penalties. For instance, a first-time high-test OVI conviction will land an offender in jail for a minimum of six days instead of the three required for a conviction based on a test between .08 and .169 BAC. Being charged with physical control means the vehicle was parked with you in the driver’s seat. A conviction is a first-degree misdemeanor. Penalties can be severe including a one-year license suspension, a 180-day jail sentence, and a fine of $1,000. You can learn more and discuss defenses against DUI charges and penalties in Ohio by calling The Maher Law Firm at (614) 205-2208. You can also have us contact you by entering your information online. The initial consultation will cost you nothing.